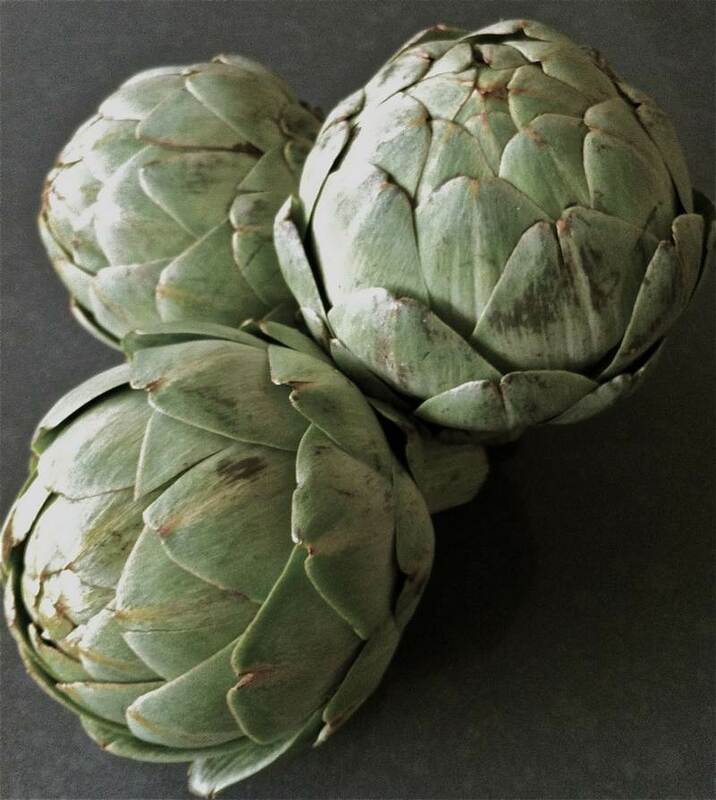 If you haven’t yet cooked and savoured whole artichokes, then you really, really, really should give it a try. So easy and so addictive. 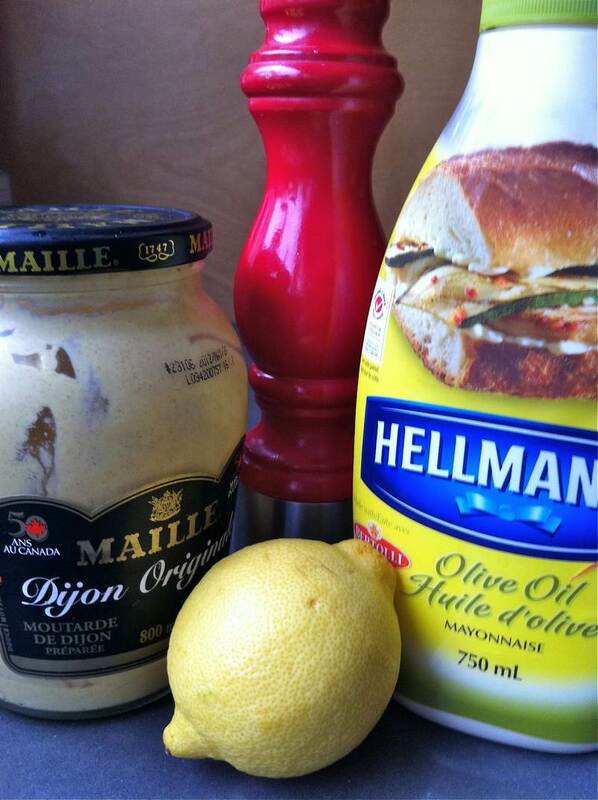 Try them with this mustard mayo dip for a super treat. Once the addiction sets in, you’ll be toting them along in your lunch bag, sans dip, for a gourmet delicacy that keeps you full, busy and happy with negligible calories. Beauty is in the eye of the beholder. This thistle grows more beautiful with every bite. Select artichokes that are firm to the touch, heavy for their size, with leaves that hug the core. Remove a few bottom leaves if they look unpleasant. Snip off the pointy tips, all the way around, with a kitchen scissors. 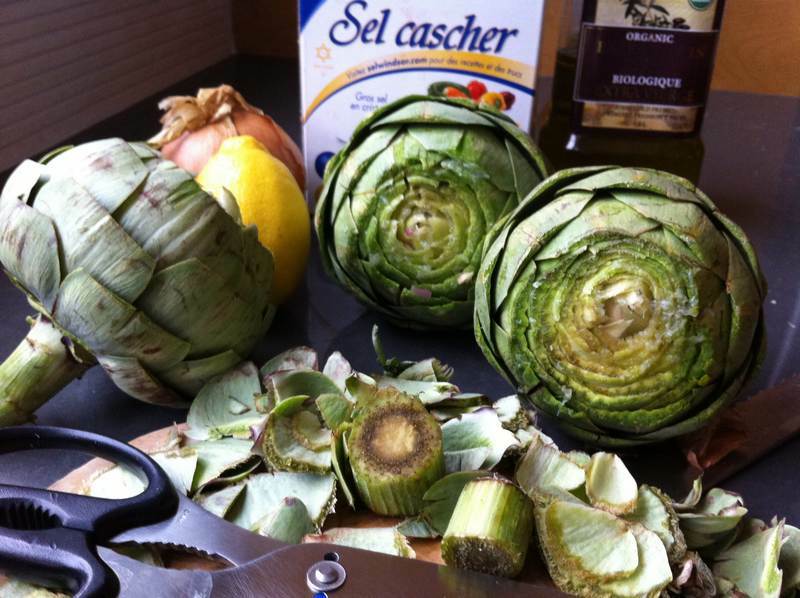 Place the artichokes in a pot of water. Put in a teaspoon of olive oil, a little salt and ground pepper, 1 lemon, cut in half, juice squeezed into the exposed tops and an onion, halved. Bring to a boil then simmer covered for 30 minutes or until the leaves come out fairly easily, with a tiny tug, and you can slide the flesh off the inner part of the leaf with your upper teeth. It only sounds like you are playing Twister. 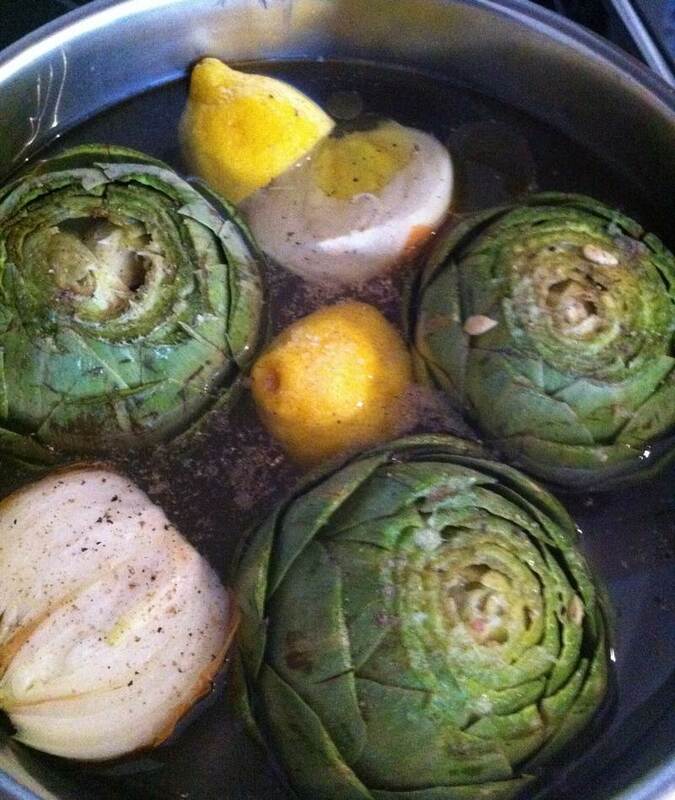 Use tongs to turn the artichoke in the simmering broth at halftime, to ensure even cooking. 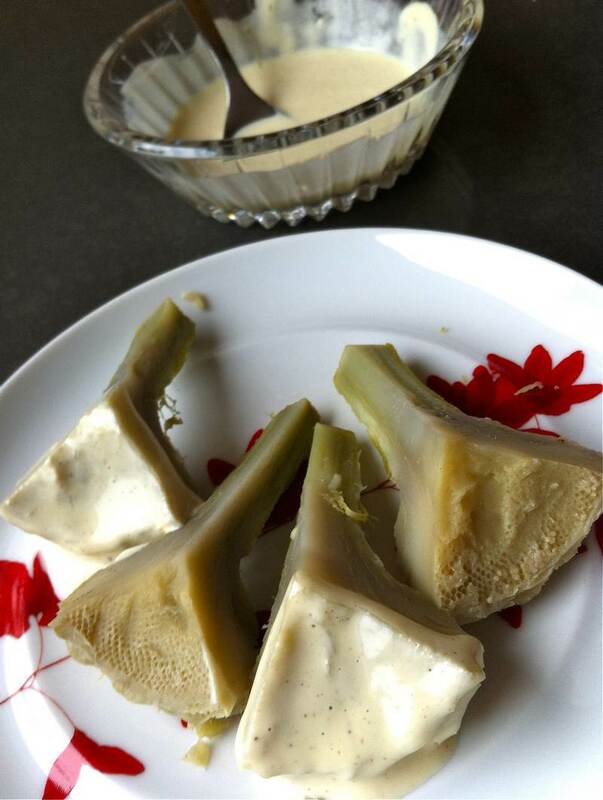 Use tongs again to lift the artichoke from the water when done, placing them upside down on a plate to drain. Serve hot or cold, delicious either way. Dip each leaf in the sauce once; no double dipping. You may need to double the sauce recipe, depending upon how much dipping goes on. When all the leaves have been consumed and you are left with the heart covered by the choke, it’s time to use a spoon, small knife or your fingers to gently lift and remove the choke, exposing the best part of all. 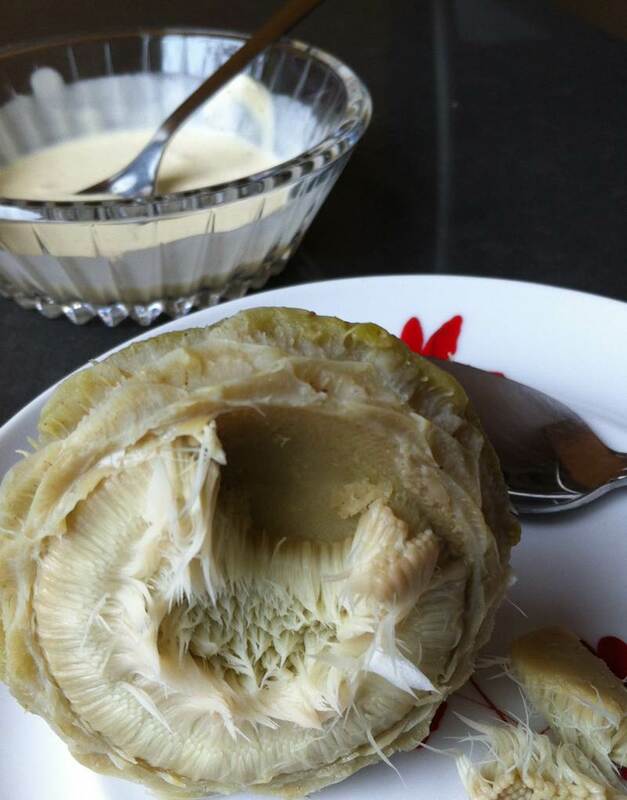 Cut the artichoke heart into quarters, eating each one with a little dip. Mmmmmmm. Great party food as guests pull off leaves from shared artichokes, while sipping Bloody Caesars. 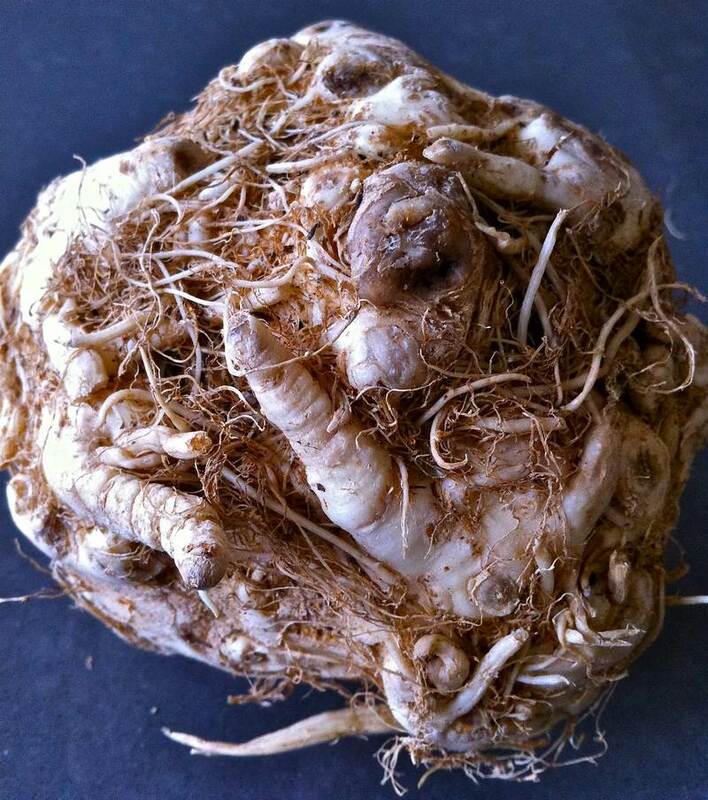 Celeriac must be the ugliest food imaginable. Don’t judge this vegetable by its cover. Rather, take a sharp knife and remove the outer layer to reveal the delectable, creamy white root vegetable hidden below the surface. 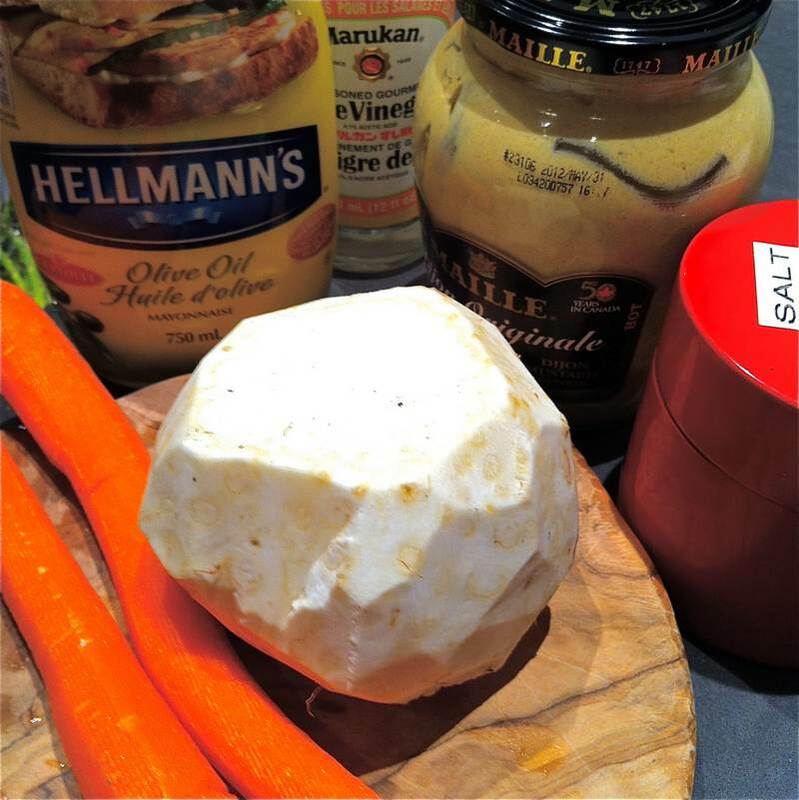 This celeriac salad lasts for days and goes a long way as a 1/4 to 1/3 cup serving is very satisfying. Mix all ingredients well in a bowl. 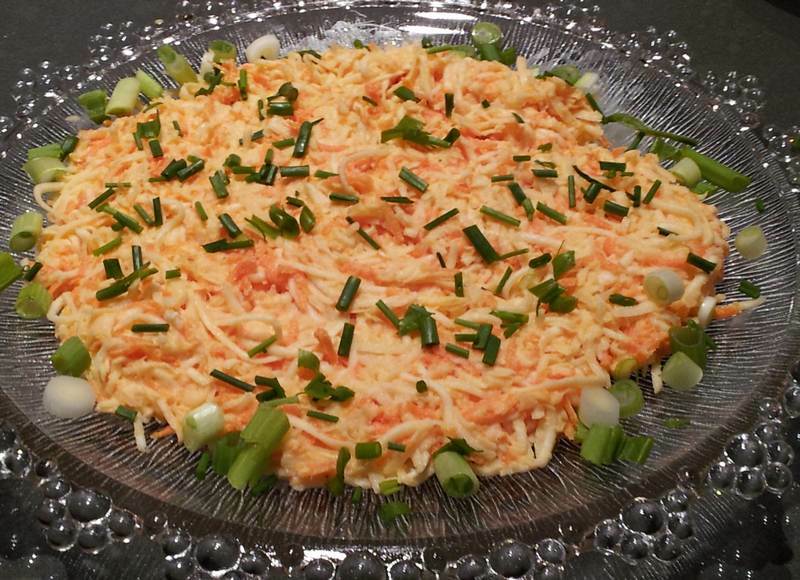 Garnish with parsley or chives. If using white wine or tarragon vinegar, green scallions and parsley can be chopped fine and added as well. Thank you to Julia Richardson, my chef sister, who I beg, borrow or steal cooking ideas from on a regular basis, for her celeriac recipe. Someday she’ll go public so that you can all see what I’m going on about. 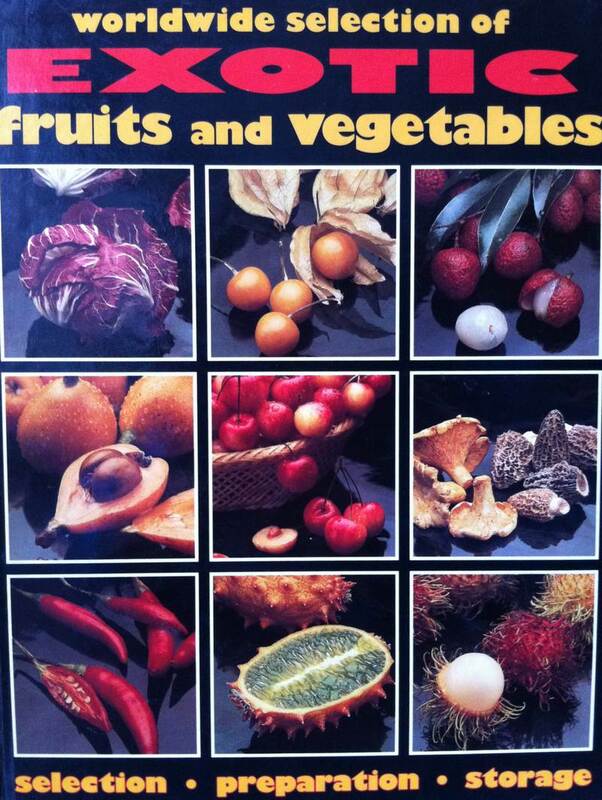 Below is a cookbook that Julia wrote and released in 1990, that is currently out of print. If you are lucky enough to have a copy, it it full of great information and recipe suggestions. These recipes sound and look delicious. The best part is that they are so easy and so few pots to clean. I’m starting a new trend. Thanks for asking and thanks for liking. The next post will be a good one – especially if you want to feed a big gang a supper healthy, light meal, doing very little actual cooking.